At Orea Resort Sklar ****, you can choose from 171 elegant, yet cosy, rooms in several price categories. Wi-Fi and outdoor parking are complimentary. 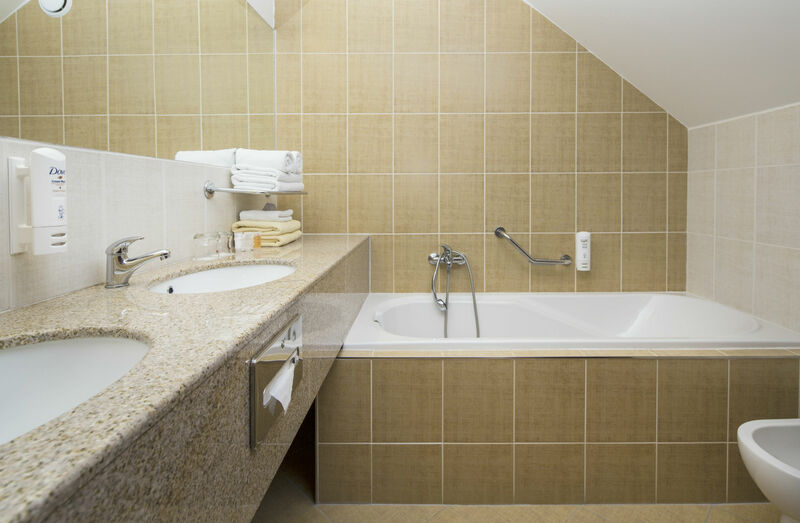 Each room is equipped with satellite TV, safe, telephone, bathroom with shower, toilet and hairdryer. 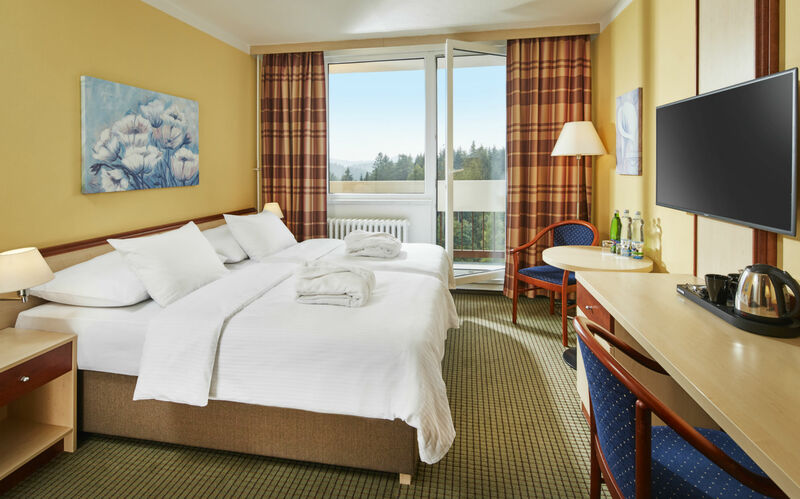 All guests are provided unrestricted access to the hotel’s wellness centre (adults only from 7 PM – 9 PM), sauna and steam bath every day of the week. 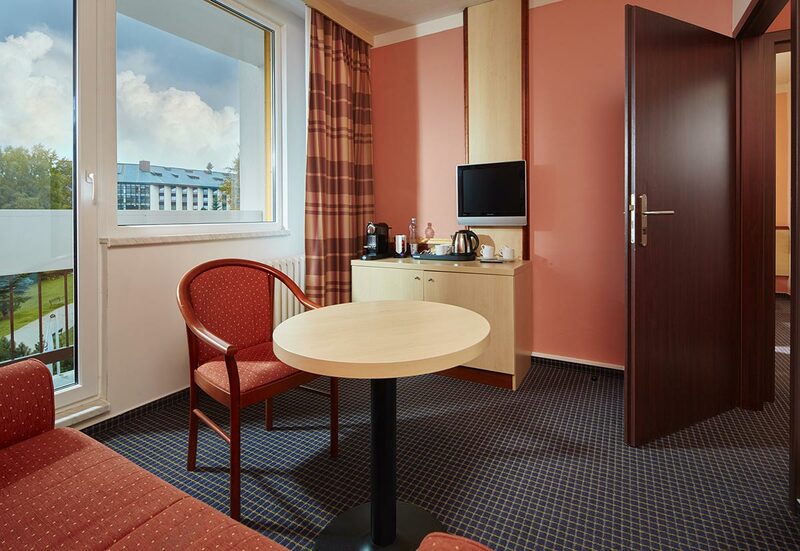 “Superior” rooms feature 23 m² of living space and come equipped with satellite TV, telephone and safe. The bathroom has a shower, toilet and hairdryer. 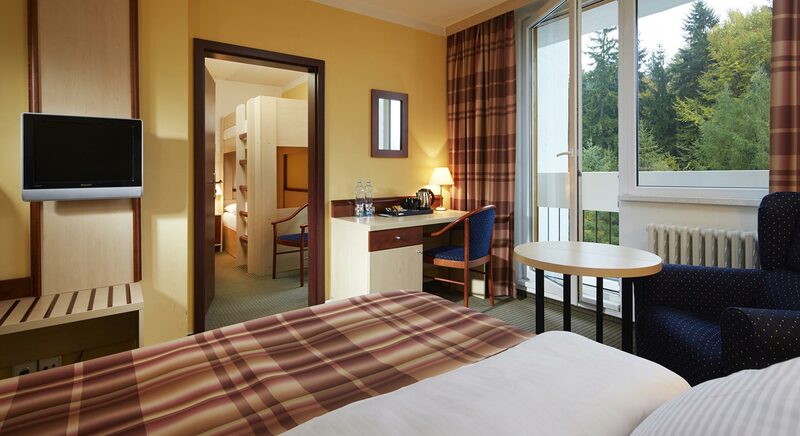 Access to Wi-Fi and outdoor parking are included in the price of the room. Guests have unrestricted access to the hotel’s wellness centre. 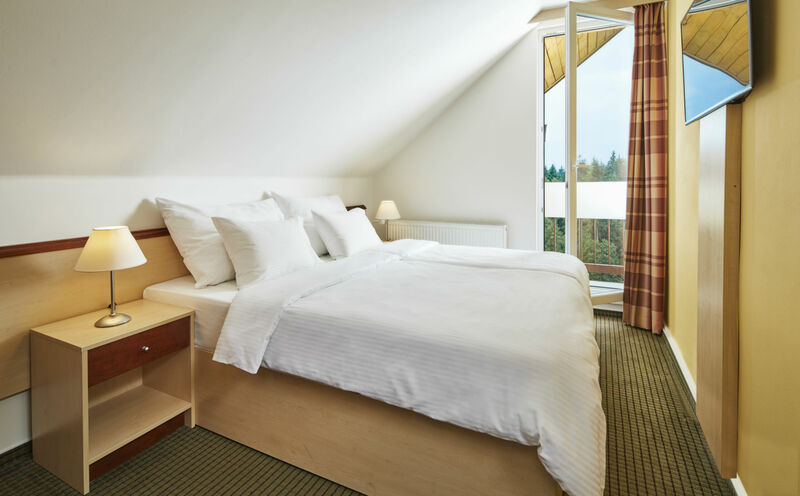 All rooms offer beautiful views of Harrachov and its famous ski jumps. A tea & coffee set is provided in the room, together with a minibar. Upon arrival, you will be provided with mineral water. Rooms are equipped with satellite TV, telephone and safe. The bathroom has a shower, toilet and hairdryer. Wi-Fi and parking are complimentary. Unrestricted access to the hotel’s wellness centre is at no charge. Bathrobes are complimentary. Two interconnected rooms feature 37 m² of living space and accommodate 2 adults and 1-2 children up to 12 years old. An in-room tea & coffee set is available at no charge, as well as mineral water. Rooms are equipped with satellite TV, telephone and safe. The bathroom has a shower, toilet and hairdryer. Guests have unrestricted access to the hotel’s wellness centre. A bathrobe is available at no charge. Parking at the hotel and Wi-Fi are complimentary. They feature 35 m2 of living space and come with a dressing room, bedroom and living room. An espresso machine, tea & coffee set, and mineral water are provided at no charge. Rooms are equipped with satellite TV, telephone and safe. The bathroom has a shower, toilet and hairdryer. A minibar can also be found in the room. Guests have unrestricted access to the hotel’s wellness centre. Bathrobes are provided at no charge. Parking at the hotel and Wi-Fi are complimentary. Each room comes with 103m² of living space and includes three bedrooms, living room, and dressing room. 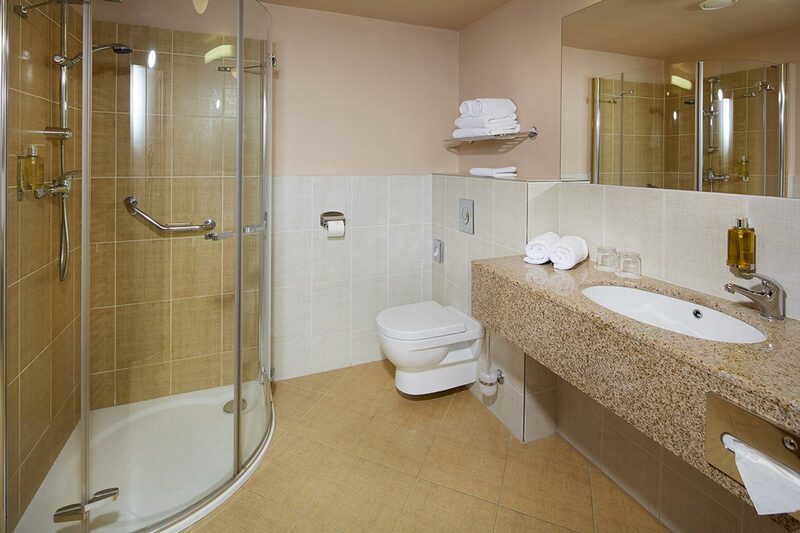 Each of the two bathrooms comes with a shower, bath, toilet and hairdryer. 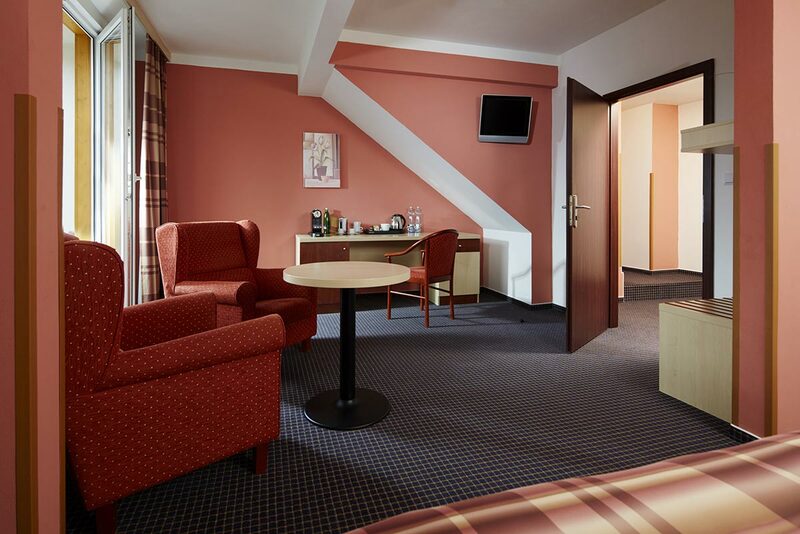 President Suite rooms are quipped with satellite TV, telephone and safe. 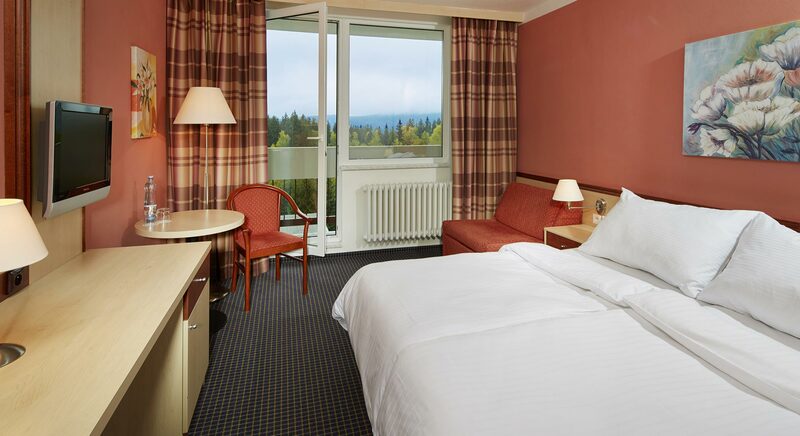 A minibar, espresso machine, tea & coffee set, and mineral water are available in the room at no charge. Guests have unrestricted access to the hotel’s wellness centre. Bathrobes are available at no charge. Parking at the hotel and Wi-Fi are complimentary.